If you're in San Francisco, you surely already know from the public advertisements, the press coverage, and the convivial lines forming outside the Kabuki and other festival venues, that the 55th San Francisco International Film Festival is in full swing. Although I haven't written much about the festival here at Hell On Frisco Bay as of yet, I wrote a few quick capsule previews for 7x7 last week. I'm actually not in San Francisco right now, as I'm attending another festival in another town (Albuquerque), but I'll be back tomorrow and am excited to get into the swing of attending screenings at my hometown fest. Although I'm having a great time in New Mexico, I'm disappointed I'll be missing the chance to see documentary filmmaking legend Barbara Kopple (director of American Dream, Wild Man Blues, etc.) receive the SFIFF's Persistence Of Vision Award at the Kabuki tomorrow afternoon, along with the screening of a 35mm print (that's according to the Film on Film Foundation) of her extraordinarily gripping, influential 1976 amalgam of ethnography, history and activism, Harlan County, U.S.A.. Shockingly, there are still tickets available for this event, where Kopple will surely share stories to inspire a new generation of Occupy-era filmmakers and media watchers. The reigning in of documentarists takes many forms . . . They are enjoined to be "objective." This is, of course, a nonsensical injunction. Documentarists make endless choices: of topic, people, vistas, angles, lenses, juxtapositions, sounds, words. Each selection is an expression of a point of view, whether conscious or not, acknowledged or not. Any documentary group that claims to be objective is merely asserting a conviction that its choices have a special validity and deserve everyone's acceptance and admiration. Even behind the first step of selection, choice of topic, there is a motive or set of motives. Barnouw suggests that true objectivity is a straw man; impossible when applied to a human-created art form. Each member of our species has developed a complex enough psychological and existential worldview that we approach every aspect of our life colored by conscious and unconscious biases. A decision to take an action, make a statement or ask a question will inevitably communicate these biases, intentionally or unintentionally. A successful filmmaker understands this, and will not expend energy on a fruitless quest to make her films purely objective. She may make an effort to present a diversity of voices and opinions. She will try to avoid presenting untruthful material unchallenged in some way (unless her objective is to mislead). But to attempt to give voice to every possible perspective on an issue, or to give precisely equal weight to two opposing positions, is an impossibly impractical goal. Wiser to follow one's own instincts and predilections, biased as they may be. Often it is the filmmakers courageous enough to follow them as far as they may lead, that make the most effective and watchable films. For instance, the Academy-Award-winning documentary Harlan County, U.S.A. by Barbara Kopple. 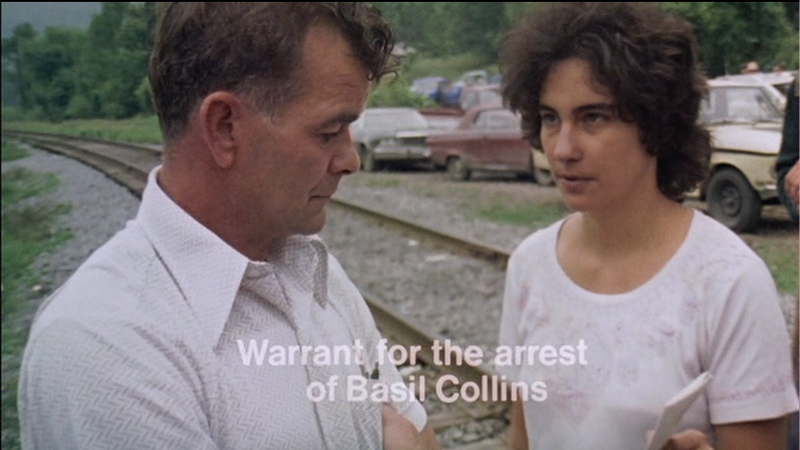 According to cinematographer Kevin Keating, interviewed on the Criterion DVD supplemental documentary The Making of Harlan County, U.S.A., Kopple and her crew were covering miner and black-lung advocate Arnold Miller's campaign for the presidency of the United Mine Workers of America at the time that a strike in Harlan County, Kentucky was initiated. Workers at the county's Brookside Mine had voted to join the UMW, but the company, controlled by the North Carolina-based corporation Duke Power, had refused to give them a contract accepting that vote. In response, the workers struck and picketed the mine, drawing the company into a showdown in which the latter employed scabs, strikebreakers and so-called "gun thugs" to try to put an end to the protest. Kopple's team took what they thought would be a "side trip, almost a tangent" as Keating puts it, to the Brookside picket line. The picket line, as one can see in scenes from the film, had an inherent drama and danger to it. Confrontations occurred, and the presence of weapons on both sides of the conflict made for a potentially lethal situation. Any filmmaker trying to photograph the day-to-day life on the line would be putting her life at risk. Even an attempt for a filmmaker to try to remain "objective" in the face of this situation could have led to a disastrous result. By picking one side off the conflict to focus on and ally with, Kopple and her crew did not avoid exposure to danger, but solidarity between strikers and camera crew created diffused some of the danger for both of these parties. Kopple's background as a filmmaker gave her credentials in two of the categories of documentarian that Barnouw uses as chapter headings for his Documentary book: observer and guerilla. She had worked as an assistant to David and Albert Maysles, whose 1969 film Salesman is considered a landmark in the "Direct Cinema" movement emphasizing the camera as observer. This North American-centered movement was connected in spirit to the British Free Cinema movement of the 1960s which, as Barnouw describes, "often poked into places society was inclined to ignore or keep hidden." The Maysles had followed a number of door-to-door Bible peddlers in Florida, most certainly a milieu that had been ignored in mass-media portrayals up to that point. 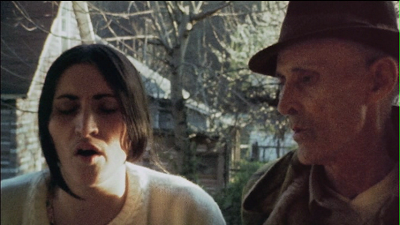 But it was also the methodology of the Maysles that had made Salesman remarkable: the intimacy of a very small crew of image and sound recorders (just the Maysles brothers themselves), a lack of extra-diegetic material such as voiceovers and graphics, and an emphasis on the synchronization of sound with picture, giving the voices of the salesmen and their customers a real-time authenticity that had been all but technologically impossible a decade or so before. Kopple worked for the Maysles on the promotion end of Salesman, and then assisted in the filming of Gimme Shelter, which showed a Rolling Stones concert's turn to tragedy. Her credentials as a guerilla filmmaker were established through her participation as an uncredited co-director in the collective that made Winter Soldier, about the Vietnam War veterans who returned to the United States to testify about the war crimes that they witnessed and participated in. Virtually every aspect of this film was conceived and executed in opposition to the prevailing orthodoxies of documentary filmmaking and distribution, from its subject matter and unapologetically anti-war stance, to its collaborative and anonymous authorship. But Kopple's resume meant little to the strikers of Harlan County. It was dedication that would earn her 3-person film crew their trust. A turning point in her relationship with her film subjects came after a car accident delayed her crew's presence at the early morning picketing. Undeterred, the team walked over a mile to to protest site with cumbersome film equipment in hand. Their commitment to documenting the workers' cause was no longer called into question. Strikers offered up their homes for the filmmakers to stay in during the shoot. They became increasingly accustomed to Kopple's camera presence at protests, meetings and even down in the mines, where the opening sequence of the film was shot. One vivid scene in the documentary depicts a meeting at the local Multi- Purpose Center, in which internal grievances are aired heatedly. It's unlikely that strategy disagreements within the union movement would have been expressed in front of a crew that the participants felt uncomfortable with. Kopple's camera became, with her full complicity, a tool of the strike. The rolling camera caught a great deal of violent and threatening behavior, mostly from the strikebreakers, at least according to what footage was ultimately used in the finished film. But it also may have prevented a certain amount of violence. As Kopple puts it in the Making of Harlan County, U.S.A., "no one wants to commit murder in living color." The protection the camera afforded felt powerful enough to the participants that Kopple's crew would come to the picket line and pretend to shoot footage even at times when, due to the financial or logistical problems that plagued the independent production, there was no film left to expose. This might be seen as a filmmaker's ultimate show of solidarity with a political movement- even without the chance to obtain footage Kopple and her crew were willing to risk being in harm's way. One might wonder if, thanks to this close alliance between filmmaker and subject, Harlan County U.S.A. might be left open to criticism that it presents an unfairly one-sided distortion of the strike situation. But any such criticism, in order to be effective, must be accompanied by evidence of some sort: accounts of important events that might have been left out of the record, or specific information that might put the material seen on screen in another context. I am not aware of any such rebuttal. Kopple did include a great deal of information to contextualize the strikers' situation, in the form of historical footage recovered from the collections of local filmmakers and news outlets, as well as from the National Archives and elsewhere. This material includes 16mm footage shot of violent miner protests in the 1930s, and more recent footage concerning the activism and subsequent murder of UMW presidential candidate Joseph Yabloski in 1969. 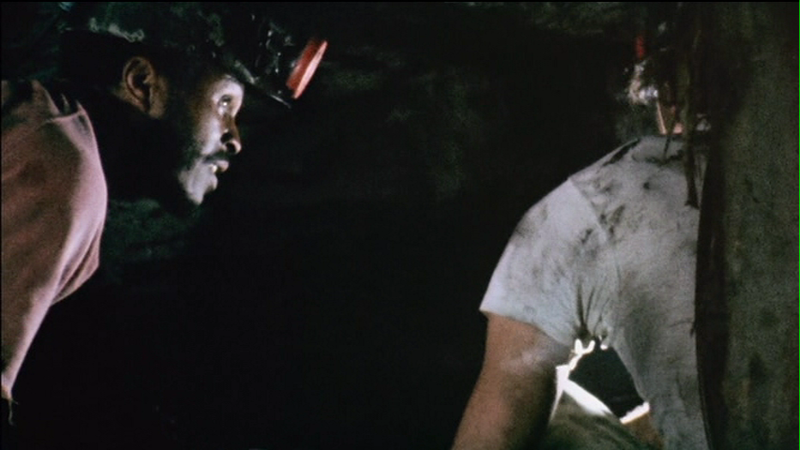 Seeing these clips edited into the film roughly chronologically, interspersed with footage from the strike, informs us of the blood-soaked history of the labor movement in coal country in general, and Harlan County in particular. She also interviews old-timers who remember the battles of the thirties and can put their direct experience into words on the soundtrack. 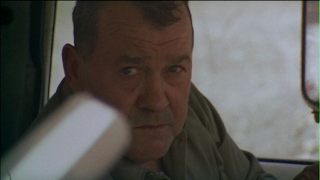 The historical context is vitally important to the success of certain sections of the film, as when the April, 1974 conviction of Yablonski's murderer seems to increase the morale of the strikers, who by then had been picketing for months on end. Without an understanding of the basic structure of events, this moment would have far less impact. Kopple's use of music in Harlan County, U.S.A. serves a similar function. She captures with her camera performances of songs, some in front of audiences and others more informally intimate, that have been rallying cries or elegies for Appalachian laborers over the decades. One particularly effective moment is when Nimrod Workman sings the mournful ballad "O Death" to bring us out of the historical footage of Yablonski's funeral and into the present. Kopple also enlisted Hazel Dickens, a miner's daughter and well-known bluegrass musician, to perform songs to be used in portions of the film in which recorded dialogue doesn't need to be foregrounded. This music is an oral history tradition in its own right, and its incorporation into the film is, along with the historical visuals, a reminder that 1973's fight is merely another chapter in a generations-long struggle. That Dickens wrote and sang a new song, "They Can Never Keep Us Down", for use in the film's closing credits, brings the historical back to the present; there is no aspect of the miners' struggle that becomes frozen in the past, as all members of the movement, from organizers to picketers to musicians and filmmakers, are all part of a tradition that will continue into the future as long as there is a need to fight for safe and decent working conditions. 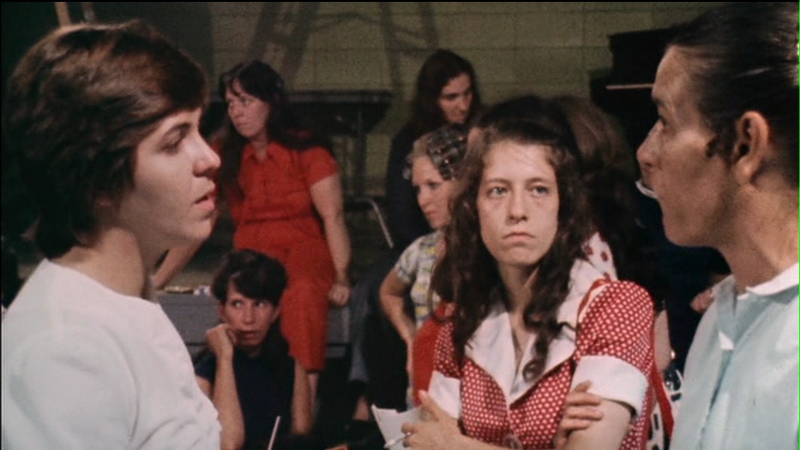 While making Harlan County, U.S.A. Kopple surely must have felt a stronger connection to this tradition shared by the people she was standing beside every day, than to the documentary filmmaker traditions. 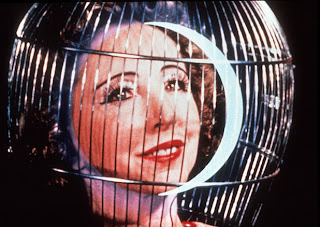 In fact, she says outright on the Criterion commentary track, "I wasn't thinking about the tradition of documentary." Perhaps this is why, despite her experience with the Maysles from a few years earlier, Harlan County U.S.A. is not an example of Direct Cinema. It's true that certain techniques were shared, such as the size of the crew and the importance of capturing the authentic speech of the people seen on camera (in this case often using less-cumbersome wireless microphones). But the incorporation of archival footage, camera- address interviews, and non-diegetic music on the soundtrack, all ensure that the film is of a more hybridized form. Kopple's close allegiance with the strikers' cause helped push her in film in the direction of cinema verite in certain moments as well. This is the documentary movement that Barnouw assigns with the label of catalyst, and indeed Kopple was a catalyst on more than one occasion. 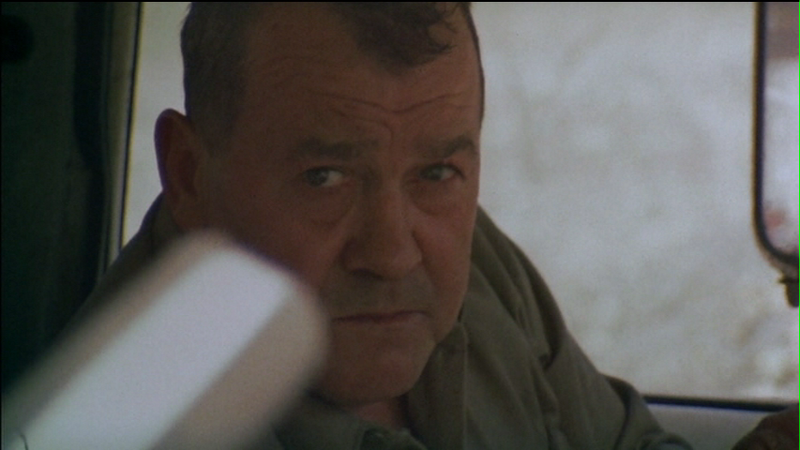 Two remarkable scenes involve the most feared of the "gun thug" strikebreakers, Basil Collins. In the first scene, we witness an exchange between Collins and Kopple herself. Collins threateningly asks to see the director's press badge, and in response she asks him if he has any identification himself. When he answers that he doesn't have it with him, Kopple sarcastically retorts that "I guess I must have forgotten mine too". After this she's warned by one of the picketers that she's just made herself an enemy. A Direct Cinema purist would avoid stepping into her subject matter so directly, or if she did, would make sure the final film contained no visible trace of the interference. But by this time Kopple was deeply enough intertwined with a particular side of the strike that she was almost forced to bring herself into the drama in this way. Her decision to keep the scene in the film was both truthful to events as they occurred, and to the ultimate goal of providing an exciting film for the viewer to watch. In the second scene, the Harlan County U.S.A. crew plays an even more directly catalytic role. 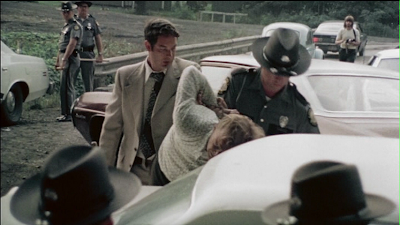 Camera assistant Ann Lewis delivers to the ineffectual sheriff a warrant for the arrest of Collins for flourishing a deadly weapon. The warrant was obtained from a judge, presumably at least in part on the basis of evidence collected by the film crew itself. There is no shortage of footage of Basil and his fellow "gun thugs" holding to that nickname by bearing their arms in front of the camera. 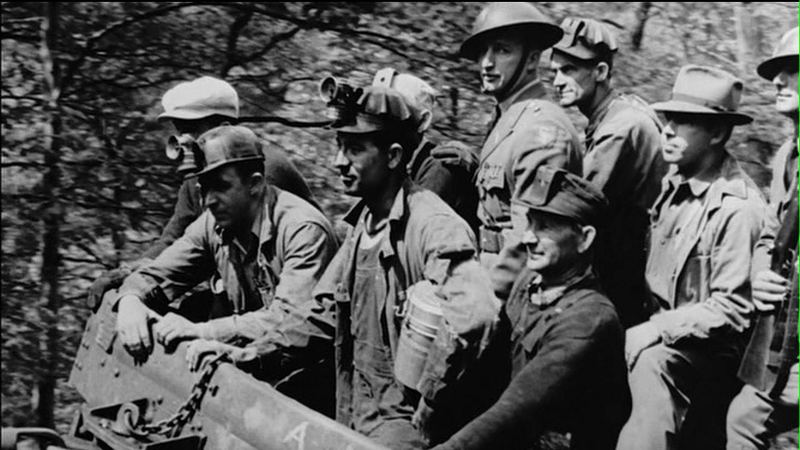 The production of the warrant is a victory for the striking miners and their supporters, at least for that day. And no other moment in the film better illustrates the bond between the crew and the picketers than this one. "They say in Harlan County, there are no neutrals there," is a line of music sung at least twice in Harlan County, U.S.A. Barbara Kopple and her crew were not neutrals but increasingly involved players in the drama they were capturing on film. As a miner named Jerry Johnson says in the Making of Harlan County, U.S.A., "I don't think we'd have won without the camera crew." And it's almost certain that neither would have Kopple's film been the success it was if she had taken any other approach. Her film shows "objectivity" to be a unicorn foolishly chased by the documentarian. With the recent release of the Foster + Partners design of the future new Apple headquarters in Cupertino, it’s the perfect time to bring a documentary on architect Norman Foster to the Yerba Buena Center for the Arts. Spain-based co-directors Carlos Carcas & Norberto López Amado's How Much Does Your Building Weigh, Mr. Foster? plays twice on April 22nd, at 2 & 4 pm as part of a two-film series of new films on architecture at YBCA. (The other film screening is Chad Freidrichs’ The Pruitt-Igoe Myth, but more on that later in the post.) Doubly perfect planning, the film on Foster also provides a nice lead-in to those who were able to snag tickets to the world premiere of documentarian Sam Green’s The Love Song of R. Buckminster Fuller at SFMOMA, part of the San Francisco International Film Festival playing on May 1st at 7pm and 9pm, since the title, How Much Does Your Building Weigh, Mr. Foster?, is a question Fuller asked of Foster. This friendly and eccentric interrogation by Fuller of Foster pushed the latter to realize that in the case of his Sainsbury Centre for Visual Arts at the University of East Anglia, Norwich, UK, a disproportionate amount of this building’s weight went unseen. It was an architectural Zen koan to excavate what was hidden beneath the facade. 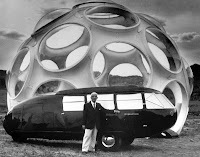 Although the ethereal floating views of the voluptuous and domineering buildings throughout Foster’s career are wonderful eye candy, (Foster worked in San Francisco very early in his career, but the only buildings completed by his firm in the Bay Area, as far as I know, can be found on Stanford’s campus), what’s more compelling to me about the documentary is what, like Fuller’s question, is left hidden beneath the edits of the documentary. Such documentaries about ‘great’ artists can border on hagiography, partly due to the need to maintain the willing participation of the film’s human subject. The documentary does mention that Foster has his critics, but the criticism is limited to aesthetics rather than practice. Plus, those critics are not permitted to speak for themselves. We are left to hear solely from Foster’s firm, friends, and fans. 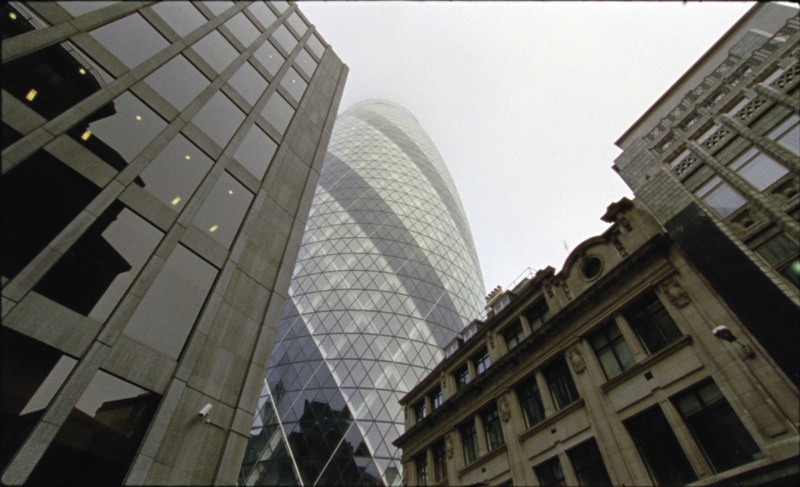 As a result, the practice of architecture portrayed in this documentary is limited to the ‘genius’ approach to history, the ‘starchitect’ as city savior, rather than a social history of a larger system. The discussion of the Fred Olson project, which the narrator hangs up on an aural pushpin as "a social utopian project", is the closest it comes to really looking at how buildings demarcate people of all classes. But this focus is flown over like so many of the scenes where Foster pilots around his buildings. This 'genius' approach is problematic when Foster + Partners’ CEO praises Hong Kong for their speed and efficiency at completing projects when compared to Europe. Knowing the concerns many human rights groups have about China’s labor practices, concerns highlighted by the recent auditing of Foxconn Technology Group that was contracted to manufacture Apple’s iPads, this ‘speed’ isn’t necessarily a good thing. When the film's narrator, this time discussing the Beijing airport project, tells us the Chinese laborers worked 'three non-stop shifts around the clock’, we should ask for more evidence that the workers of those shifts were treated and compensated fairly than just Foster's use of the neoliberal buzzwords 'thinking strategically' and 'bold initiatives'. In this case, I don’t see modern Europe’s slower pace when compared to China as something to criticize because it’s more likely that necessary regulations are in place to lessen the occurrence of injuries and deaths along with securing a more sustainable wage (and necessary health benefits) for the folks who actually make the buildings starchitects design. This section of the documentary is soon followed by a discussion of the Masdar City zero-carbon footprint project in the UAE. (Ironically, a city designed in the exact opposite direction of sustainability as the proposed new Apple headquarters that looks like a UFO from the past isolated from major public transit and demanding further car-dependency.) Along with mentioning nothing about the labor conditions in the UAE that arouse as much concern by human rights groups as in China, this project's green intent contradicts the previously mentioned preference for speed, since our need for speed and convenience is fueled by cheap oil and leads to unsustainable cities and living arrangements. With all that’s missing from this documentary’s lessons in hagiography, How Much Does Your Building Weigh, Mr. Foster? practically requires companion reading material for all the context the film doesn’t provide. Might I suggest the wonderful book Dubai: The City as Corporation by Ahmed Kanna, which I first saw at the University Press Bookstore on Bancroft in Berkeley and later picked up at The Green Arcade bookstore on Market Street. (This is the book from which I pulled evidence of the worker violations in the UAE noted above.) Providing examples from the wider UAE, and briefly mentioning Foster’s Masdar City project, the second chapter of the book, “’Going South’ with the Starchitects” is an insightful examination of how, in spite of all the progressive rhetoric spoken by starchitect firms, the firms end up buttressing repressive regimes. 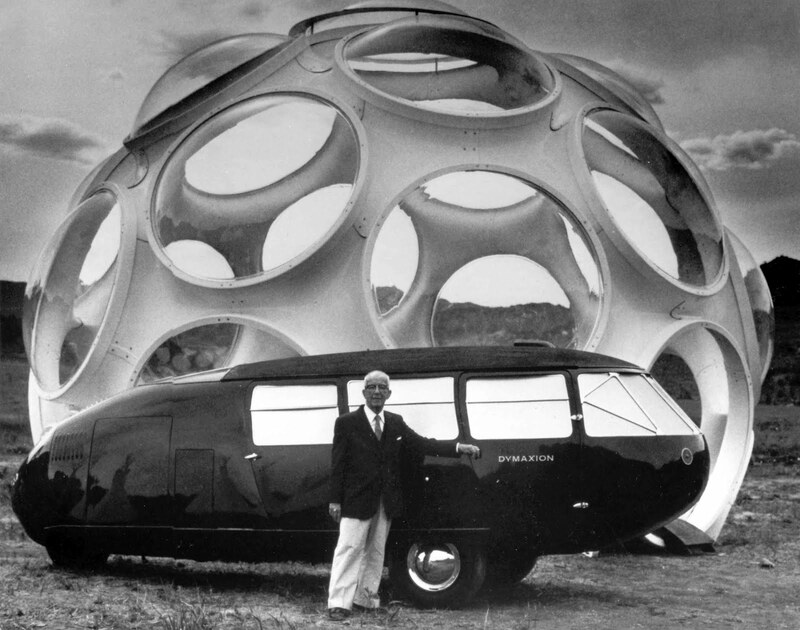 Kanna is not indicting specific architects, (nor do I intend to do that here), but his insightful analysis brings to light the hidden foundations of the rise of the starchitect phenomenon. In the end, all that is unspoken in this question-titled documentary How Much Does Your Building Weigh, Mr. Foster? results in a structure that fails to stand up. As you step away from the floating frame and begin to ask the questions title-as-question doesn’t, the buildings seem less impressive. 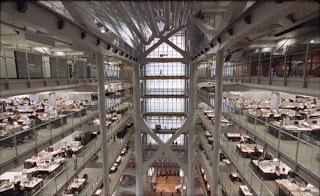 Perhaps if the film’s title tilted the question slightly to say ‘How Much Is Your Building’s Weight, Mr. Foster?’ the directors may have focused more on the cultural, economic, and environmental impact of the building process rather than simply leaving us to admire the superficial beauty of the buildings. 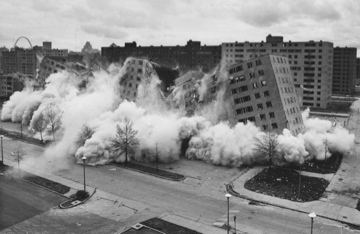 Thankfully, the second film in the series at YBCA, Chad Freidrichs’ The Pruitt-Igoe Myth, puts much more weight on these social aspects of architecture. (It will screen twice on Sunday, April 29th, at 2 and 4pm.) In fact, everything that is wrong in the structure of How Much Does Your Building Weigh, Mr. Foster? is set right in The Pruitt-Igoe Myth. For those who haven’t heard of Pruitt-Igoe, it was a large housing project in St. Louis, Missouri completed in 1954. Considered revolutionary for its time, it gave low-income residents infrastructure (plumbing, electricity, etc.) and amenities well beyond what they previously lived with. It quickly fell in to disrepair and became a scary place to live due to high-levels of crime. Twenty decades after it was raised, Pruitt-Igoe was razed. What is so valuable about Freidrichs’s documentary is that it places the Pruitt-Igoe housing projects in the proper complicated historical, political, and social perspective. The stock answers explaining Pruitt-Igoe’s demise have always been a combination of three choices: the un-livability of modernist architecture, the failure of government welfare, and the behaviors of the residents themselves. (As the film demonstrates from archival footage, the racism of the latter ‘answer’ was often explicit in the words of many of the suburban whites towards the primarily black residents.) Through interviews with former residents of Pruitt-Igoe, a sociologists who worked with the residents, and urban historians who have studied Pruitt-Igoe within a broader context, we learn how limiting those stock answers are. Ironically, part of Pruitt-Igoe’s demise was foretold in the law that enabled its creation, the 1949 Housing Act. Although the act provided funding for the creation of Pruitt-Igoe, it relied on the rent paid by residents, all low-income, for upkeep. At the same time, the 1949 Housing Act subsidized the creation of suburbia through roads and other infrastructure. Add to this the redlining housing practices of developers and lenders keeping non-whites out of the suburbs and the suburbs became a publicly subsidized space only accessible for the white middle and upper-middle class. As a result of this white-flight-to-suburbia, (an American creation that represents what urbanist James Howard Kunstler calls “the greatest misallocation of resources in the history of the world” since it solidified our car/oil dependency that will obstruct our growth in the near future), the jobs followed white middle-class folk to the suburbs. As a result, few jobs were left for the primarily black residents of Pruitt-Igoe, making the upkeep of Pruitt-Igoe nearly impossible to maintain. That’s just the beginning of what is a dense, insightful documentary on a missed opportunity of good intentions not fully-funded or followed-through. Much of the documentary’s impact comes from the reminiscences of former residents of Pruitt-Igoe who talk of the joy of the early years and the fears of later years. How they speak of the violence of the later years in the projects is particular poignant when some of the young men express how surprised they were by the advice the environment encouraged from their mothers. I’ll leave that aspect in cryptic form since those particular recollections hit you in the solar plexus in that uniquely haptic way that the light and audio from the cinema screen does. I first heard about this Pruitt-Igoe documentary through the local architecture and design podcast 99% Invisible. Produced by Roman Mars, 99% Invisible quickly made my must-listen list after the best podcast in the world, Radiolab, gave the show props. Along with recommending you peep a listen to Mars before the screening of The Pruitt-Igoe Myth, in spite of how my criticism of How Much Does Your Building Weigh, Mr. Foster? might discourage a viewing, I still recommend watching it before The Pruitt-Igoe Myth. It is the juxtaposing of these two films, one full of pretty pictures and failed analysis, another a well-researched re-rendering of a failed historical moment, that shows you how much more worthwhile and fulfilling a film like The Pruitt-Igoe Myth is compared to the unsatisfying ‘genius’ hagiographic view of history that is How Much Does Your Building Weigh, Mr. Foster? So much I could/should write about in the Frisco Bay film scene right now. Why are there three costume-centric collections of film screenings happening here this weekend? I don't know. How mandatory is the April 14th pair of films at the PFA? pretty mandatory. What do I think of the lineup for the 55th San Francisco International Film Festival? I'll get to that. But for the moment, all the oxygen in my writing brain is being taken up by Napoléon, which I was extremely lucky to be able to see twice in a period of nine days at the Paramount Theatre in Oakland. The first time, I was sitting in the third row (the cheapest seats) and my senses were absolutely overwhelmed. The second time I was in the third-to-last row of the orchestra section and found myself able to enjoy the film on a more analytical level. I realized why this film so easily overcomes my general dislike of biographical films, for instance. Watching most biopics, I find myself unable to trust the filmmakers' lens onto true historical events. When grinding facts into drama, filmmakers usually want to include the most iconic, seemingly pivotal scenes from an individual's life. Some will approach a well-documented event as careful to maintain historical accuracy as they can be, while others are more interested in re-enacting the way these events are passed down as legends in the popular imagination. How to deal with a less-documented event is more troublesome, especially when the storyteller's instinct to create character arcs, foreshadowing, and other techniques of dramatic license kicks in. An event springing from the screenwriter's imagination can try to pull the same dramatic weight as one documented by the most careful historians, leading to a flattening-out that feels oh-so-fraudulent to me about 95% of the time. In Napoléon, such pitfalls are avoided with the simple usage of the word "historical" in certain intertitles to indicate which scenes are drawn from verified accounts, and perhaps more importantly, by the word's absence, which are not. Rather than creating a cinema of footnotes, this distinction freed me up to appreciate the drama, as well as director Abel Gance's technique and point-of-view on the material. On point-of-view, I must contest those who summarily insist that Gance's view of his subject is wholly uncritical and therefore counter-revolutionary or even fascistic. Remember that Napoléon is only the first installment of his planned hexalogy of films on Bonaparte; that it was only one of two he was able to film deprives us of knowing just how certain threads (such as the apparitions of Robespierre, Marat, etc. urging the general to carry their reforms outside the French borders, which Gance may well have intended to be a self-justification) would have resolved in later episodes. I hope a local venue can facilitate a chance to see Gance's 1960 reworking of his Part 3, Austerlitz, and/or Lupu Pick's silent-era filming of Gance's scenario for Part 6, Napoléon At St. Helena, sometime. A word on the technique. It's just as astonishing as everyone says. I don't feel the need to go into the detail of how his shots were achieved, or even which moments were particularly dazzling to me. I was of course impressed by Gance's use of quick-cutting, of irises and filters, of overlapping images, of splitting the screen (all in-camera, as optical printing had not yet come onto the scene), of animation, of removing the camera from its tripod and shooting hand-held or using an imaginative array of makeshift dollies, and of shooting scenes with three cameras for the magnificent three-projector, three-screen panoramic finale, Many of these are often considered "avant-garde techniques" even today. Seeing them applied to a thoroughly accessible, crowd-pleasing film like Napoléon makes me want to retire that term though. Perhaps there are no "avant-garde techniques" but only "avant-garde" applications. Though I understand the temptation to use the shorthand. Kevin Brownlow makes a convincing case that Gance's 3-screen Polyvision inspired major Hollywood studios to attempt widescreen processes (particularly Cinerama), arguably the purest application of his triple-projection vision today is a strand of multi-projector performance practiced by underground/experimental filmmakers through the tradition of "expanded cinema". 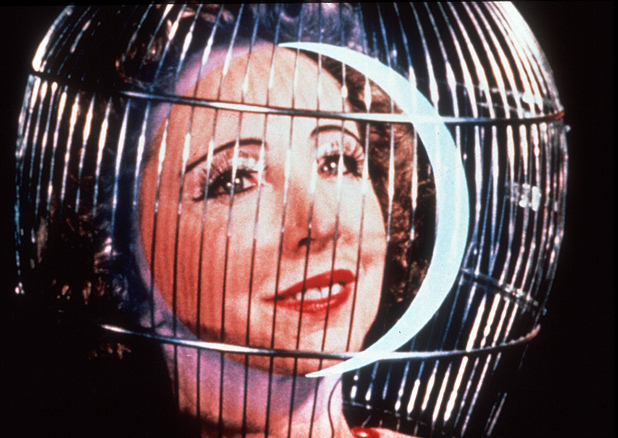 Kenneth Anger once told Scott MacDonald that he was inspired by Gance's film to create his three-screen version of Inauguration of the Pleasure Dome, which has not screened since the 1950s. Since then, Andy Warhol, Roger Beebe, Bruce McClure, and a host of others have made multi-projector work, and there will be opportunities to see modern-day examples by the likes of Greg Pope and Kerry Laitala at SF Cinematheques' upcoming Crossroads festival in May. More details on that forthcoming. After these two screenings, I'm convinced that Abel Gance was a great director. I long to see Brownlow's documentary on him entitled The Charm of Dynamite. I'm sure it would be a wonderful addition to the currently-running screening series at Yerba Buena Center For The Arts. I've been able to preview a number of the selections in this series, entitled Great Directors Speak!, and I think it's a brilliant programming idea that hopefully will be successful enough to become a regular series at the venue. Of those I've been able to see so far, Marcel Ophüls, Jean Luc-Godard, John Cassavetes, Chantal Akerman, and Robert Bresson are each profiled in fascinatingly diverse ways in these documentaries, and I'm sure one's own experience and relationship with each director will make viewing the films a different experience for every single viewer. Tonight's pairiing is of two hour-long pieces. Marcel Ophüls and Jean-Luc Godard: the Meeting in St-Gervais is simply documentation of an onstage discussion between the two directors (with very minimal contribution from moderators) after a screening of Ophüls' film about French Resistance and Nazi collaboration during World War II, The Sorrow And The Pity, in Godard's hometown of Geneva, Switzerland a couple years ago. The discussion is fascinating to me, even though I've never seen the Ophüls film (or any film made by the son of Max Ophüls, I must shamefully admit). 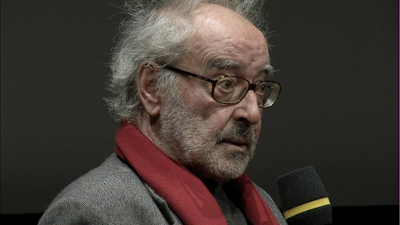 Godard's eyes open up wide like the aperture of a camera trying to collect the maximum available light as he describes his own wartime boyhood, his admiration for Ophüls, and the shelving of the two directors' plans to make a film about the Israeli-Palestinian conflict- or was it more generally about "Jewishness"- together in recent years. Ophüls for his part maintains a polite smile even when the discussion becomes contentious; "I don't want to be your Jewish whipping boy," he at one point exclaims. For one who has followed some of the controversies regarding Godard's alleged anti-Semitism since the release of Richard Brody's biography Everything Is Cinema, it's particularly illuminating to have Godard speak about some of the issues that caused contentiousness in his own voice. The second screening tonight is of a 1968 episode of the French television program Filmmakers of Our Time, focusing on another legend often compared to Godard: John Cassavetes. (For instance, both Godard's Breathless and Cassavetes' Shadows were remarkable in their day in part for their unabashed employment of jump cuts, albeit in different ways.) Here Cassavetes is energized as he shows his French visitors around his Los Angeles studio in the midst of editing his second independent feature Faces, and less so in an interview conducted after the film's completion and uncertain release. Cassavetes diehard fans are likely to have seen this documentary before, as it is included as a special feature on the Criterion DVD set. For someone like me, who is a Cassavetes admirer but not obsessive, it's a very rewarding viewing. The famous director even comments briefly on the first version of Shadows which was rediscovered by Ray Carney some years ago and suppressed. Hearing what he has to say to the camera in the presence of his wife Gena Rowlands puts a new perspective on that controversy as well. 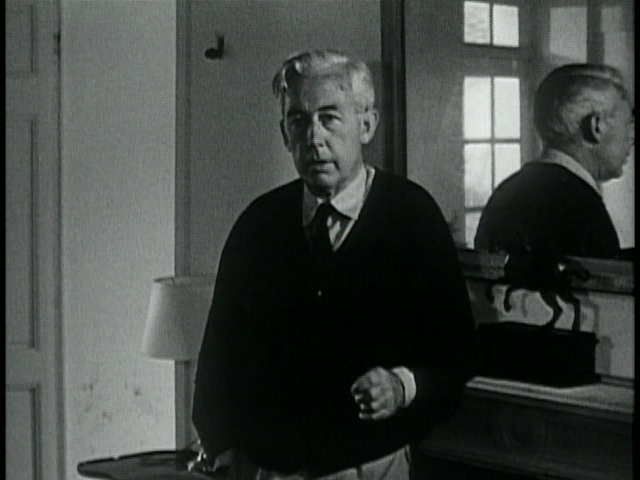 The Robert Bresson and Chantal Akerman episodes of Filmmakers of Our Time, which screen together at YBCA next Thursday were apparently released on VHS at one time, and an excerpt of the latter is found on the Criterion DVD of Jeanne Dielman, 23, quai du Commerce, 1080 Bruxelles. But to see them in full is rare today. 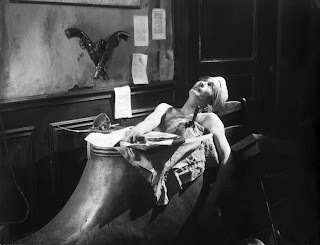 François Weyergan approaches his interview with Bresson rather aggressively, stitching together a barrage of comments from the formidable auteur. Bresson distinguishes "cinema" from the higher form of "cinematography" that is not mired in roots of literature and theatre. When Weyergan asks when "cinematography" began to emerge, his subject answers, "It still hasn't happened. There have been attempts." Speaking this between The Trial Of Joan Of Arc (which, along with Pickpocket and the non-Bresson films Goldfinger and The Testement of Orpheus, the episode excerpts) and Au Hasard Balthazar, frequently considered his greatest masterpiece, made me wonder if he ever changed his mind about this- and if so, how soon afterward. I have more to say on this series, and much more to say on the Frisco Bay screening scene, but I'd like to get this particular post published before tonight's screenings. So let me pause for now and continue in the near future. In the meantime, I highly recommend, either as a compliment to the YBCA screening series, or on its own, the new work by imprisoned Iranian director Jafar Panahi, This Is Not A Film; it opens for a week-long engagement tomorrow at the San Francisco Film Society Cinema a.k.a. New People. One of the major commercial releases of the year, I particularly recommend Noy Thrupkaew's review in The American Prospect for background on it. Might as well also link to Michael Sicinski's discussion of French director Bertrand Bonello, director of the also-excellent, but unfortunately-named House of Pleasures, which leaves town after tonight to make way for the Panahi film.